Shopping for a house has always been tough – whether under the old or the new levy system. Even before the announcement of goods and services tax (GST) on 1 July 2017, real estate developers began coercing home buyers to pay the full cost upfront instead of making monthly repayments to evade the new tax burdens. Part of the reason is that GST on the real estate sector has seen a whopping 7.5 per cent increase, up from 4.5 per cent to 12 per cent. On account of this, developers had sought to advance payment schedules before the GST rollout, which is illegal under law. The finance ministry had to step in to prevent higher tax on installments. Second, there is a lack of transparency over provisions like input tax credit. This tax is charged on real estate developers for purchasing housing materials such as steel, cement, among others. While this was introduced to reduce tax liability on the developers at the time of property sale, home buyer’s tax burden was also expected to come down. For instance, houses with carpet size of more than 60 sqm should get a four per cent tax rebate – down from 12 per cent to eight per cent. In practice, this provision is yet to be fully implemented. The new service tax was supposed to bring transparency in the real estate sector, simplify home purchase procedures and bring down the overall purchase costs. With lack of clarity on the new levies, real estate developers either stalled or slowed construction activities. New home launches saw a massive decline of 83 per cent in the first quarter of GST’s announcement. The number of new homes fell from 24,900 units in the July-September period of 2016-17 to 4,313 units during the same period last year. “The initial few months were disruptive not only for the industry, but also for consumers and government authorities. It is expected in any game-changer of this magnitude,” according to Surendra Hiranandani, Chief Managing Director, House of Hiranandani. According to realestate data analytics company PropEquity, the demand for housing has plummeted by 35 per cent from 34,809 units in the July-September quarter of 2016 to 22,699 units during the same period last year. This data was collected from eight metro cities such as Mumbai, Noida, Gurugram, Bengaluru, Kolkata, Pune, Hyderabad and Chennai. “Even after a year, the only real clarity that exists for property buyers is on the prevailing 12 per cent GST rate on under-construction projects,” says Anuj Puri, Chairman, Anarock Property Consultants. He points out that the confusion persists over the amount of rebate a prospective homebuyer is entitled to as part of input tax credit incentives. “The confusion is not only about the percentage of input tax credit, but also on the mode and tranche of the rebate,” says Puri. Multiple calculations have to be done for input tax credit. Customers will get benefit only in the final tranches of payment, developers say. The increase in overall down payment for a house has upset plans for home buyers. “I had to drop plans to buy a house following such cost escalations,” says Tushar Pradhan, a Delhi-based entrepreneur. The new levy on the sector has certainly eliminated the tax-on-tax system. Because of the ineffective anti-profiteering provisions, consumers have not been able to draw benefits. The consumers stand to benefit only if the base property prices are reduced and the developers pass on tax credits to their customers. At present, consumers can avail benefits only on those projects which are nearing completion or has completed construction post-GST. “So far, it has not resulted in significant reduction in prices. 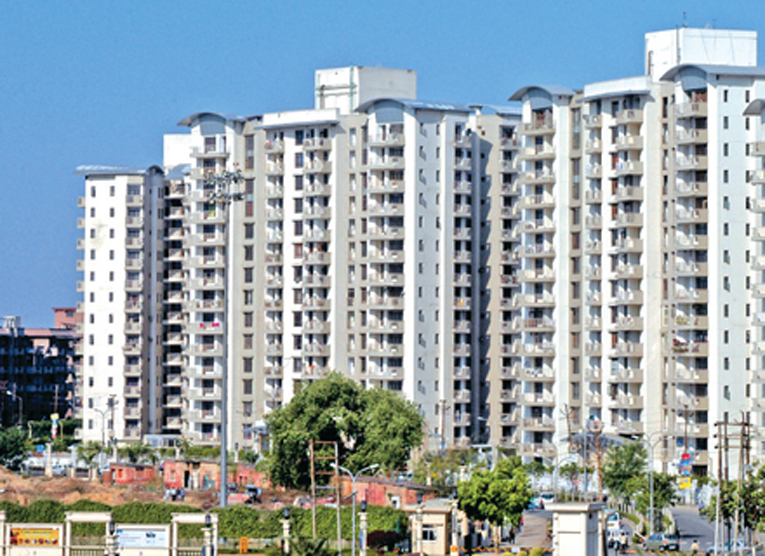 For most projects, the benefit may not exceed five per cent of the overall construction cost,” says Hiranandani.